Y’all know I love a good mantel. 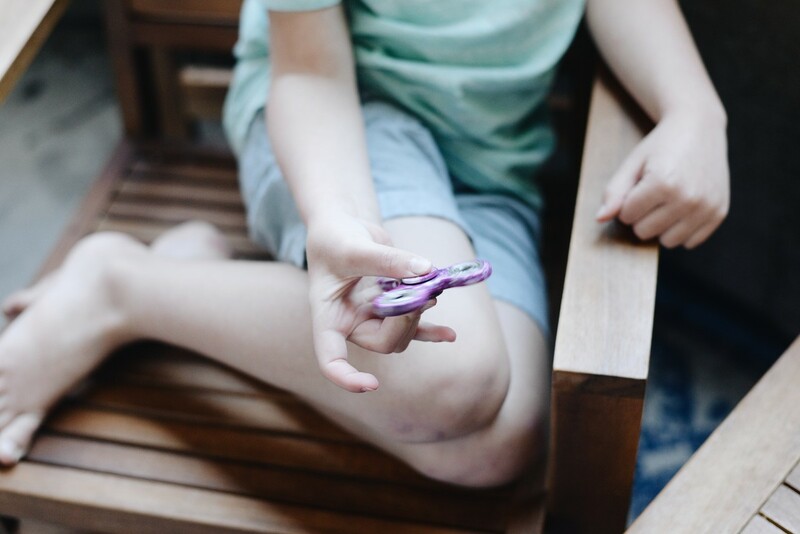 In fact, I am pretty sure I have quite a few examples on Instagram if you look under the hashtag #typicalkatieathome. This year, I am lacking in the time and creative energy department, so I wanted to do something super simple for the fall season. 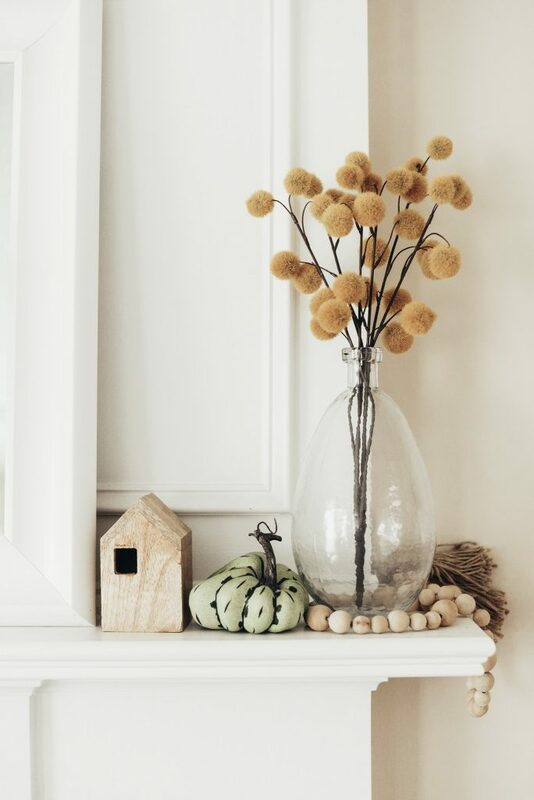 Last year, we didn’t have a mantel- so you might remember me styling a bench, instead! One goal of mine, has been to make my living room appear larger, so I knew I wanted to add a mirror over the fireplace. Mirrors are a great way to make any room appear larger. For this room, I went with a styling a bench with a basic white frame. 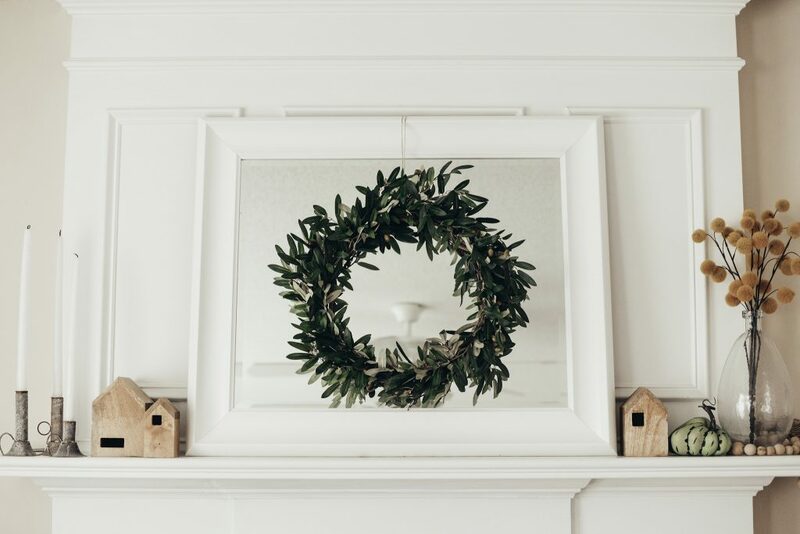 I also love the look of a wreath over a mirror. I wanted a wreath that felt like fall without being a busy mess of orange and faux autumn florals. Luckily, Wayfair had this adorable olive branch wreath. The other additions to the fall decor fam this year, were my metal candlestick holders from Wayfair (seen on the far left of the mantel). 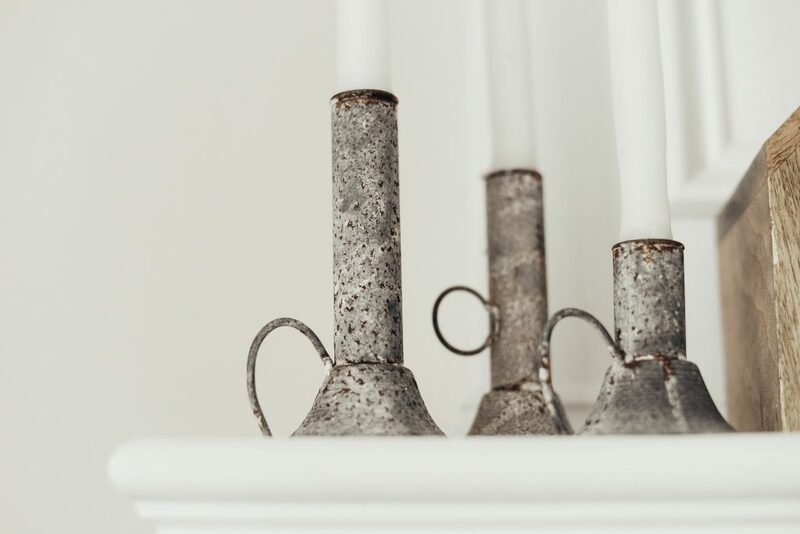 I think that tapered candlesticks are dreamy and perfect for any decor style. 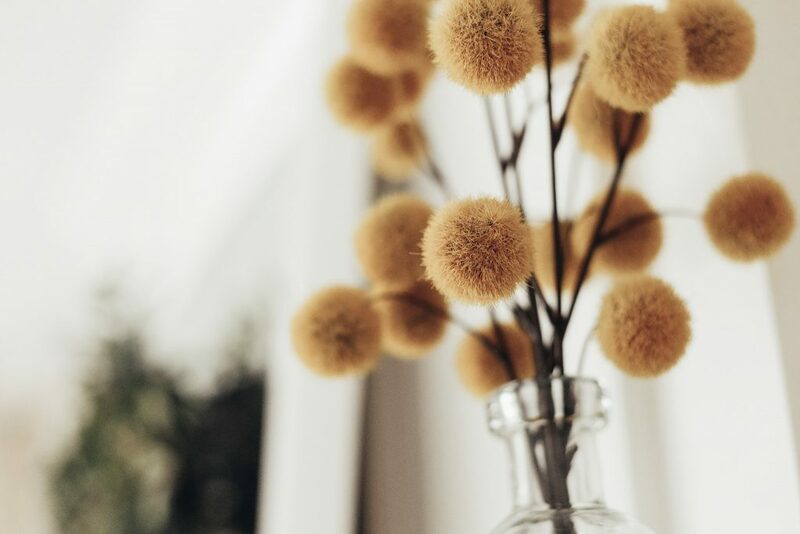 I put up my little wooden houses and a faux pumpkin to break up all the white, and added a pop of color on the far right with a bubble vase and faux billy buttons: the perfect fall floral. And yep, that’s all I did, folks! 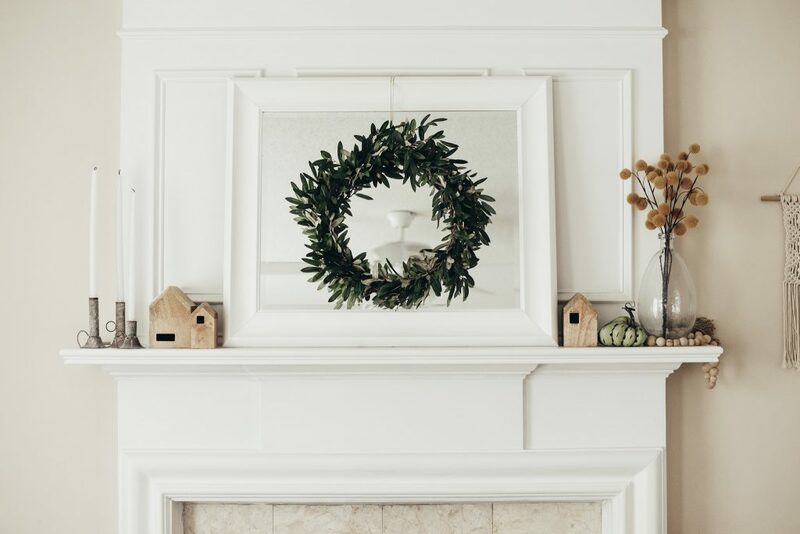 If you are blocked on how to style your mantel this season, always search Pinterest for inspiration. Whenever I can’t quite pinpoint how I want to decorate, I am sure to find a ton of inspiration there. 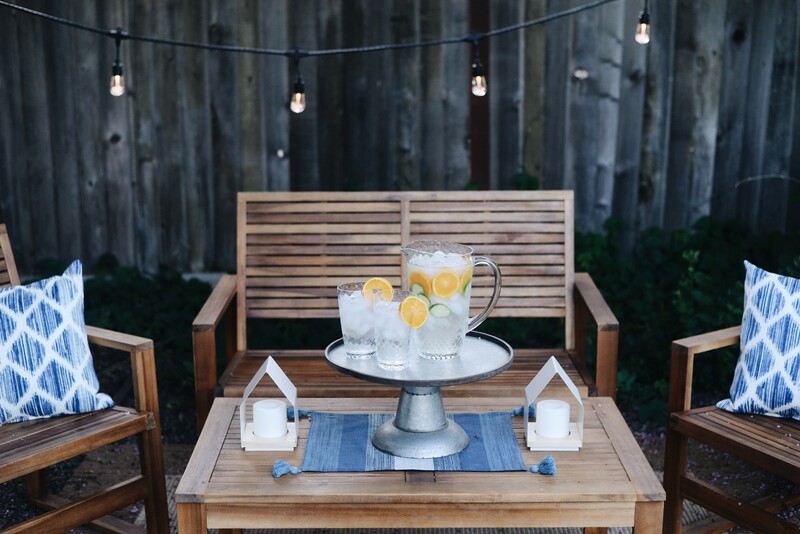 Wayfair is my go-to website for all things decor and furniture, so don’t miss their selection! That’s all for now! 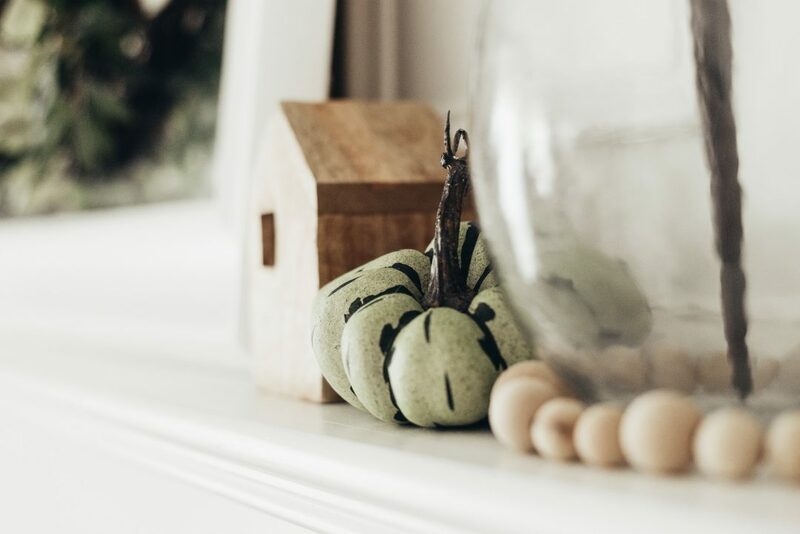 How’s your fall decor coming along? !